The AquaStorm™ Cloth Media Filter is designed to be used for enhanced high rate wet weather treatment, a process that can achieve equivalent to wet-weather secondary effluent quality. The AquaStorm™ enhanced high-rate wet weather treatment process typically achieves average effluents during wet weather events which less than typical permit requirements for TSS and BOD. This high removal is achieved with three zones of solids removal which are floatable removal, settled solids and filtration which is different than any other technology which only typically removes solids by two means. The filtration step allows for high performance with or without chemical addition. 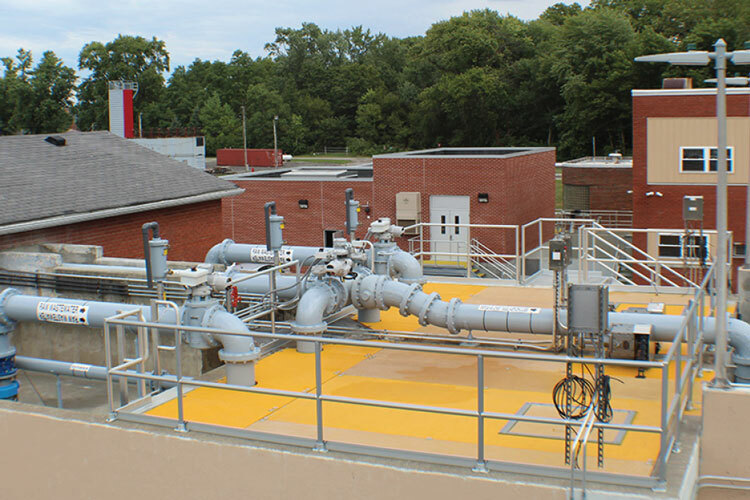 The City of Rushville, Indiana had to remedy a consent order filed in 2007 for its untreated combined sewer overflow (CSO) discharges that were polluting the Flatrock River, a violation of the Clean Water Act.